ONCE AGAIN ANOTHER BUYERS FINANCING FELL THRU - BACK ON THE MARKET, TAKE ADVANTAGE IMMACULATE 3 Bedroom, 2 Bath ranch with beautiful wood floors. The living area has a cathedral ceiling. A split bedroom floor plan has master suite on one side and 2 bedrooms and an office on the other. Office has many uses to meet the family needs. the galley kitchen has oak cabinets, stove, dishwasher, and built-in microwave. Refrigerator is negotiable. Laundry and pantry closet have easy access to garage and kitchen. 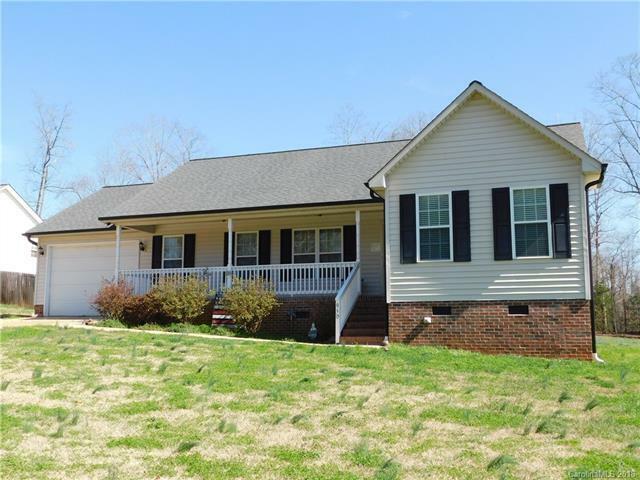 A rocking chair front porch, 12 x 12 rear deck, and lots of level yard space are perfect lot for family and pets. Some of the deck will need to be replaced in the near future.